ACLU of New Jersey v. Schundler. The Becket Fund for Religious Liberty (n.d.). Retrieved from https://www.becketlaw.org/case/aclu-new-jersey-v-schundler/. ACLU of New Jersey v. Schundler. (Apr. 04, 2019). https://www.becketlaw.org/case/aclu-new-jersey-v-schundler/. "ACLU of New Jersey v. Schundler." The Becket Fund for Religious Liberty. Accessed [Apr. 04, 2019]. https://www.becketlaw.org/case/aclu-new-jersey-v-schundler/. Every year, Jersey City sponsors celebrations ranging from Ramadan Remembrance Day, Hindu and Buddhist parades, and scores of other parades, festivals, proclamations and displays celebrating the varied cultures and ethnicities of the community, which is one of the most diverse in the United States. 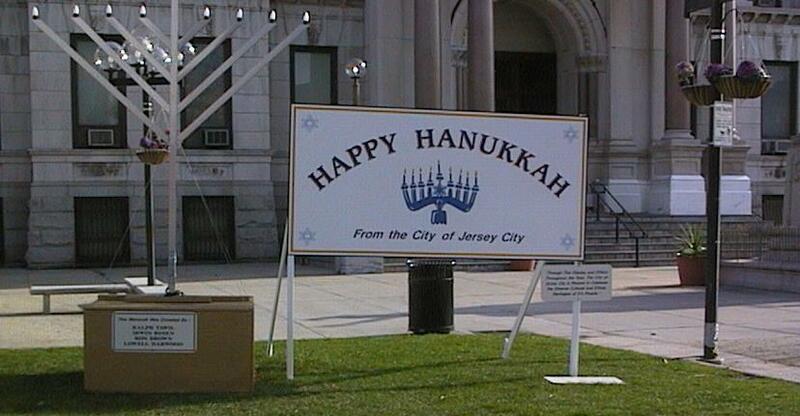 Consistent with this tradition of pluralism, during the holidays Jersey City sought to display a menorah, a crèche, a Christmas tree, and a sign stating that this display was part of the broader celebration of diversity by the City held throughout the year. Following a challenge by the ACLU — and a defense by Becket — the U.S. District Court in Newark ruled that the menorah, tree, crèche, and sign were unconstitutional. However, it held that the display would be constitutional if it included a Santa Claus, a sleigh, and a snowman. So the next year Mayor Bret Schundler erected a display designed to comply with the District Court’s request, adding a Santa with a sleigh and a snowman near the crèche, and putting several Kwanzaa symbols on the evergreen tree. But even this wasn’t good enough for the ACLU, which tried again to take down the revised display. Following several years of back-and-forth court battles, the Third Circuit Court of Appeals accepted Becket’s argument, ruling that Jersey City’s display was constitutional because it had explanatory signs and secular symbols. The Court also specifically rejected ACLU’s argument that a crèche may never be displayed under any circumstances in front of a seat of government. The decision was a victory for the ability of local governments to recognize the religious aspects of culture in the public square.